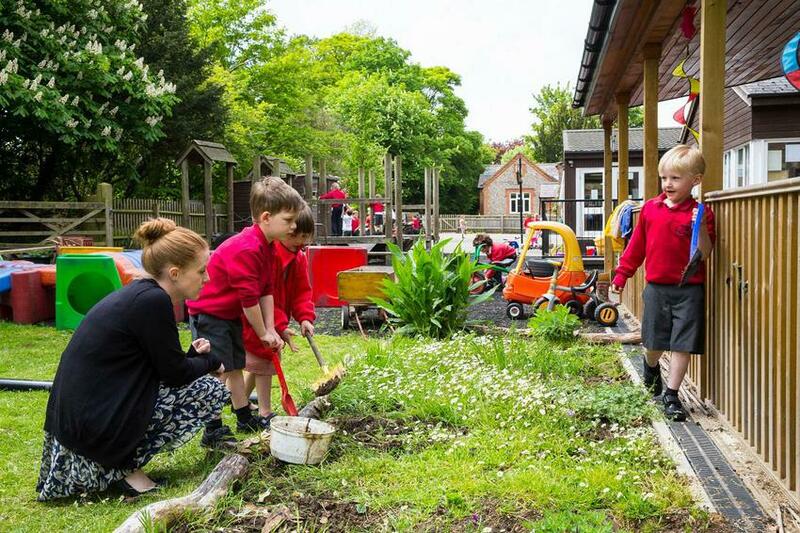 At Aston Rowant, playtimes and lunchtimes are an enjoyable and valuable experience for our children where they discover, explore and develop the understanding of our beautiful environment whilst they play with their friends, making our lunchtimes a valued part of our school day. We offer the facility for all children to have a hot dinner at lunchtime and this is served in our school hall. We have recently acquired new tables and benches to accommodate children with packed lunches in the hall too. Conversations during the meal provide opportunities for the children to bond, plan, connect, and learn from one another. Our lunchtimes are the perfect time for the children to display appropriate table manners, meal etiquette, and develop social skills. The children increase their daily physical activity through structured games and activities. Our team of qualified Sports coaches provide lunchtime sports clubs on a Monday and Thursday so that the children can develop specific skills and stamina in a sporting environment. It has been lovely to see our Year 5 Sports Leaders design and create sporting games for other children. They have organised the equipment and taught the younger children new skills. We have also used the den building equipment over recent weeks and the children take turns to make dens and work as teams. Our school council reps deliver various initiatives for making our playground a happy place to play and they work together to plan for improvements. Whilst some children do of course choose organised games, we also believe it is important that children have unstructured time which is not under the direct control of adults during the school day. Our beautiful sensory garden, willow dome and allotment area provides tranquillity for the children to reflect, dream and tender the garden. We believe that children who make their own decisions, use their own initiative and feel good about themselves are more likely to develop positive self-esteem. We also understand the need for pupils to sometimes learn social skills and survival tactics from negative experiences in the school grounds - how to deal with power structures, how to cause trouble and how to avoid it. These experiences provide opportunities for discussions with the teacher in class and during our assembly time so that we nurture the children and guide them into making the right choices. Through this approach the children learn that they have a responsibility to behave well and that all of their behaviours have a consequence. This is instilled through our teaching of Christian values. Children at Aston Rowant treasure their playtimes and lunchtime breaks, in fact for most children it is the best time in their day! Through play they develop and build relationships, learn social skills, de-stress and let off steam, exercise and most of all they have fun.